Part of what makes Australia such a beautiful and diverse nation is the bevy of animal species that populate the country. And while you might best associate Australia with the likes of koala bears and kangaroos, the nation is not without its fierce predators as well – like python snakes and crocodiles. These predators usually keep their distance from one another, but every now and then it’s not unusual for them to cross paths – and when they do, all bets are off. This was the case when a hungry 10-foot olive python stumbled across a juvenile crocodile in the province of Queensland. After the snake initiated the fight, the battle was on – and various locals were also nearby to see the incredible event of nature as well. Snake vs. crocodile. Python vs. croc. Who do you think would come away as the victor? The winner might surprise you – and you won’t believe what the victor did after defeating their opponent. This is the incredible story of the Australian croc vs. snake duel. Continue on to see for yourself and be amazed at how this fight ultimately ended. People often associate Australia with the Sydney Opera House, for its expansive Outback, and for its coasts, but the island nation/continent also serves as home to an abundance of wildlife – and we’re not just talking about kangaroos. Animals, in fact, are one of the main reasons that tourists flock to Australia each year. There, they can observe the likes of kangaroos, koala bears, exotic fish species, sharks, various birds, and lizards. Australia is also home to about 140 species of snakes, including 21 species that are among the world’s 25 deadliest species of snakes. 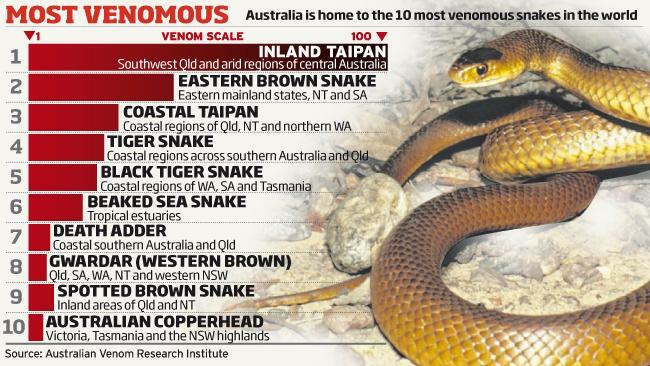 In addition to venomous snakes, however, Australia serves as home to pythons and tree snakes too. 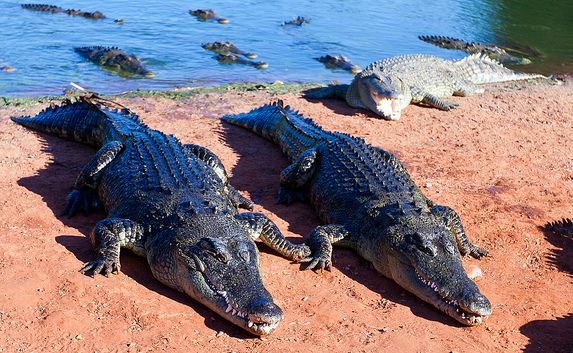 When it comes to reptiles, Australia is home to two species of crocodiles – a saltwater and a freshwater species. It’s safe to assume that pythons don’t normally eat crocodiles, and vice-versa. But recently, the two species battled each other in the province of Queensland – with the winner claiming the ultimate meal prize. Queensland, which is located in northern Australia, is well known for its warm, tropical climate due to its close location to the equator. Hence, it’s a perfect habitat for reptiles like snakes and crocodiles. 7. Who Ya Got? Snake or Croc? We couldn’t seem to locate any Las Vegas odds for who would win in a fight, but each likely stood a good chance of defeating the other. But being that pythons aren’t venomous, we’re guessing the pre-fight edge would go to the croc. It was just an ordinary day in the Lake Moondarra wetlands. 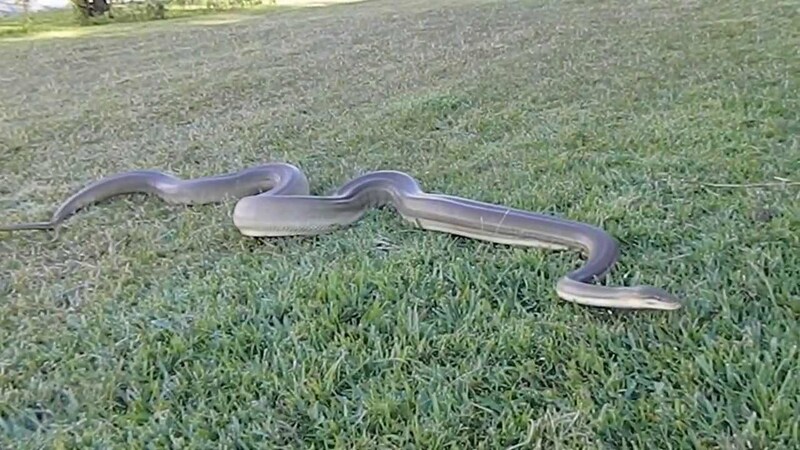 A 10-foot-long olive python was just minding its own business looking for something to eat. Then, it found its desired meal ticket. 9. A Crocodile for Dinner? While an olive python typically doesn’t hunt large prey, when it stumbled upon a juvenile saltwater crocodile, it decided to make this fellow reptile its meal – or die trying. The battle was on! 10. Let’s Get it on! The crocodile wasn’t going to just succumb to being the python’s main course. Instead, it fought back and the two reptiles engaged in an epic fight. It began in the water, with the python constricting the crocodile and trying to drown it underwater. The crocodile kept fighting back, keeping its head above water and using its powerful jaws and sharp teeth to get its shots in. While the crocodile tried to use its powerful jaws to defeat the python, the python attempted to literally squeeze the life out of the crocodile. As pythons are constrictors, this is how they hunt, killing their prey prior to consuming it by strangling it to death and crushing it. The fight was observed and documented by many interested area residents. How epic was the battle? Witnesses say the croc and snake fought for nearly five hours before a victor emerged. Talk about incredible stamina from both animals! … is the snake! After a long battle, the snake outlasted the crocodile, using its constricting power to strangle it to death. And everyone who proceeded to take the croc is currently ripping up their betting slips. Now that the snake had officially defeated and killed the crocodile, it was time for dinner. Studies say that snakes are actually able to detect when an animal no longer has a heartbeat, signaling them to uncoil and dine. After the crocodile was killed, the snake pulled its body up on the lake shore and prepared to consume it. Unlike most animals who chew and process their food, snakes eat their meals whole. Their jaws unhinge so that their mouths can open wide enough to consume their prey. Because snakes consume their meals whole, digesting their food takes a tremendous amount of energy. That’s why it’s crucial for the snakes to realize when they can stop constricting their prey – to conserve energy for digestion. Though it took about five hours for the snake to defeat the croc, the python gobbled it up – whole – in about 15 minutes. It kind of gives another meaning to the term “fast food,” eh? Check out this amazing picture that a bystander took of the snake consuming its meal. What an incredible moment to witness in the wild! At first thought, you might deem it impossible that a 10-foot python could eat a crocodile whole. But that’s what this Australian olive python snake did! In all reality, the crocodile’s features made it easier to consume. For instance, its scales are ideal for swimming in the water, so the snake was able to slide it into its mouth easier. What’s more is that its legs are able to tuck closely into the body, another trait that helped the snake consume it whole. Check out this cool “after” picture of the python following consumption of its crocodile dinner. One bystander even managed to snap this awesome aerial shot of the snake, which really puts things into perspective regarding its meal! As you can see, the bystander didn’t get too close, though we’d think after eating a crocodile the python wouldn’t be looking for another meal. 23. What’s Next for the Snake? Now that the snake has eaten, it usually retreats to a safe area to digest its meal. This is largely because the snake is slower and more vulnerable to other predators following a sizeable dinner. We think the croc fits that bill! While the snake is in its safe area, it will digest the meal. This can take anywhere from 10 days to three weeks. We’re betting that this digestion was more of the latter! When a snake digests its food, a lot of really neat things happen. Its organs start things off by increasing in size, then the intestines produce the necessary nutrients to moisten the meal. The food then gradually digests, allowing the snake to absorb its nutrients. After snakes digest their food, they’re all energized and ready for their next meal. However, in the case of this python, it may not need to eat again for several more weeks. 27. Python vs. Croc: Round 2? While we don’t know what has happened to the python since its crocodile dinner, we’re willing to bet that it’s surviving just fine in Australia’s Queensland province. And witnesses to the battle still can’t get over talking about it. They were mesmerized by how hard both animals fought over the course of five hours, with the snake emerging as the eventual victor. You’ve got to work for your dinner in Australia! 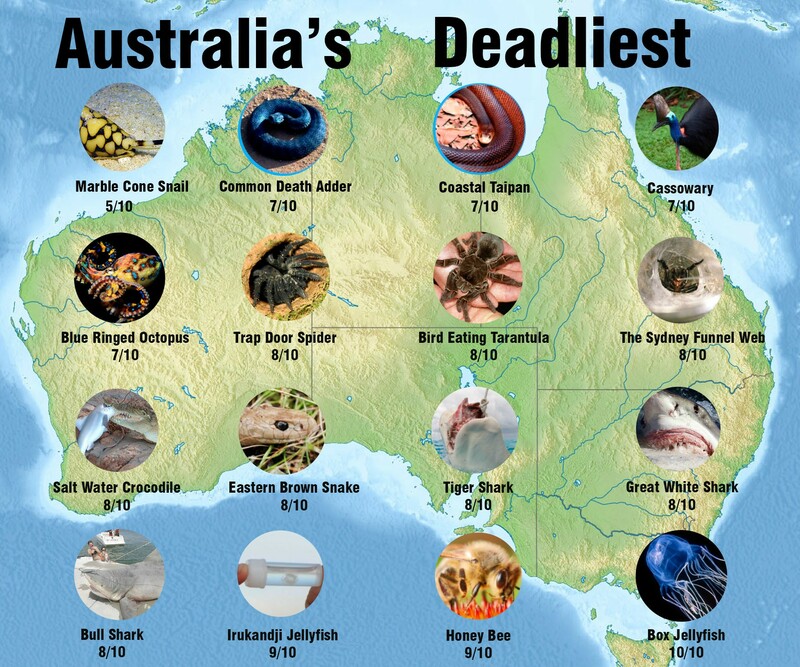 As we told you earlier, Australia is home to 21 of the world’s top 25 deadliest snakes. And while pythons likely don’t make that list, we’re guessing olive pythons aren’t a species that you’d want to mess with either. Venomous or not, it’s advised that residents and tourists don’t try to provoke, catch or kill snakes in Australia. Instead, officials just say to give them their space and leave them alone. Olive pythons in Australia can grow as long as 13 feet, but usually clock in at around 8 feet. They are the second largest snake species in the country. Olive pythons typically dine on birds, fish, small mammals and, on occasion, reptiles. They hunt either in an ambush style or from underwater. 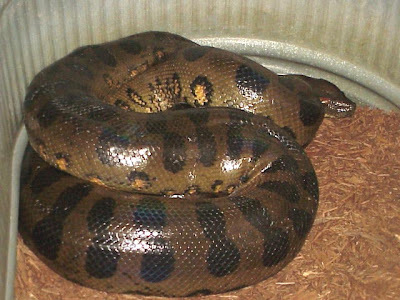 Due to being killed by humans (usually from confusion with a venomous, similar-looking species), habitat destruction and other predators, the olive python is considered to be a vulnerable species. Clearly, it has no problem taking out big prey for its meals.